Almonds are one of the world's best-tasting vegan protein sources, adding great flavor to your day,breakfast, lunch, dinner or anytime you need an energy boost. Other Ingredients Organic almond protein, organic quinoa and protein-energy-liberating enzyme blend. Does Not Contain: Titanium dioxide, talc, yeast, hexane and artificial: flavoring, sweeteners and preservatives. Vegan, gluten-free, yeast-free product. Free from the common allergens yeast, wheat, soy and milk. Almonds are among the healthiest food on Earth. Supplying 15 grams of protein and 2.5 grams of healthful almond fatty acids, Nature's Plus Organic Almond Protein deliver the revitalizing nutrition you need to power your day. Almonds are one of the world's best-tasting vegan protein sources, adding great flavor to your day,breakfast, lunch, dinner or anytime you need an energy boost. 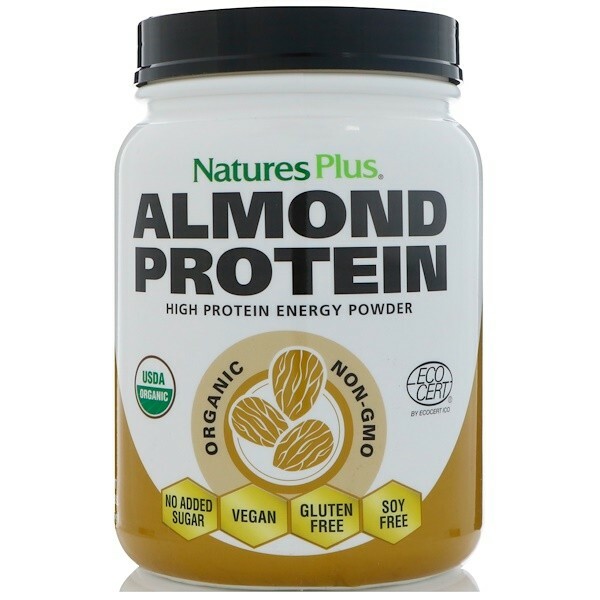 Super charged with protein-energy-liberating enzymes, Nature's Plus Organic Almond Protein gives you all the natural benefits of protein without any artificial additives. 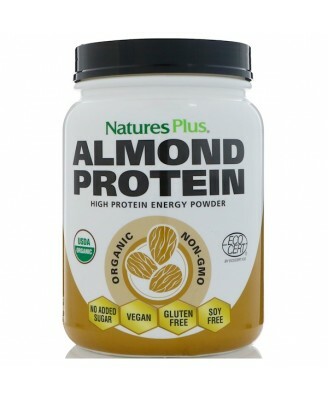 Nature's Plus Organic Almond Protein promotes health and vitality and fits perfectly into your everyday dietary routine! 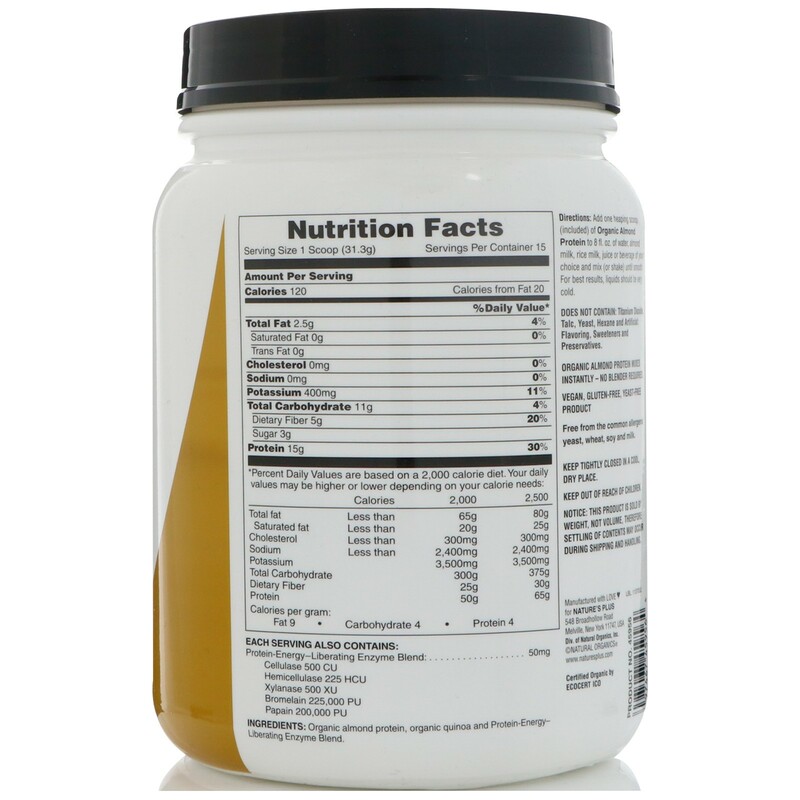 Add one heaping scoop (included) of Organic Almond Protein to 8 fl. oz. of water, almond milk, rice milk, juice or beverage of your choice and mix (or shake) until smooth. For best results, liquids should be very cold. Organic Almond protein mixes instantly - no blender required.